Yodel Better in Toledo: Check out our exclusive apparel! 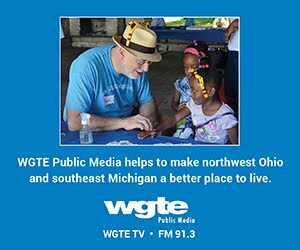 Saengerfest 2018 is partnering with local company Jupmode for exclusive apparel. Show your Saengerfest pride with custom apparel for the 2018 festival. 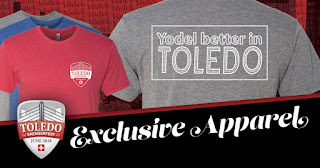 The Toledo Swiss Singers and Saengerfest 2018 have partnered with local company Jupmode, known for its soft, premium T-shirts and apparel, to create beautiful custom apparel for the festival. Pre-orders are now closed, BUT there will be a second round of ordering opening June 28 through the company's custom website — for a limited time. Pick your merchandise, select a color and then select a size! Submit your order and payment and Jupmode will ship your order to you in mid-July. Both the crew and long-sleeve T-shirts have the Saengerfest crest on the breast pocket with "Yodel Better in Toledo" on the back, which is a play on the iconic Toledo slogan from 1913 "You'll Do Better in Toledo." 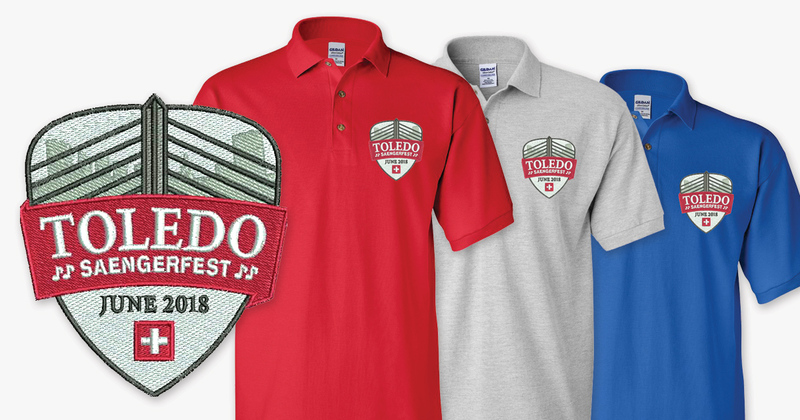 The polo shirts, in both unisex and women's sizes, will have a beautifully embroidered logo on the front breast pocket. 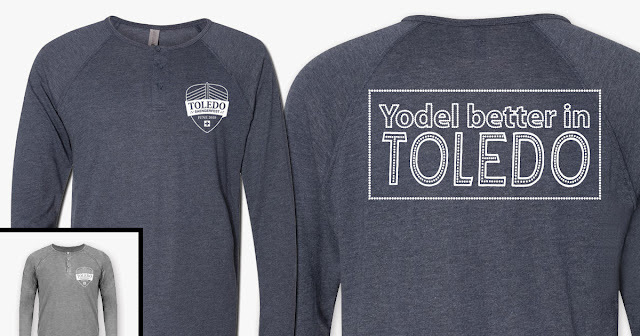 Ordering is now open for a limited time! So shop away and get ready to wear some awesome apparel! *Actual finished products may vary. 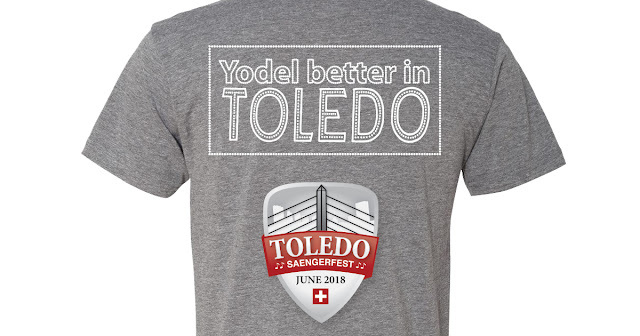 Saengerfest 2018 - Swiss Singing and Yodel Festival - Toledo, Ohio: Yodel Better in Toledo: Check out our exclusive apparel! 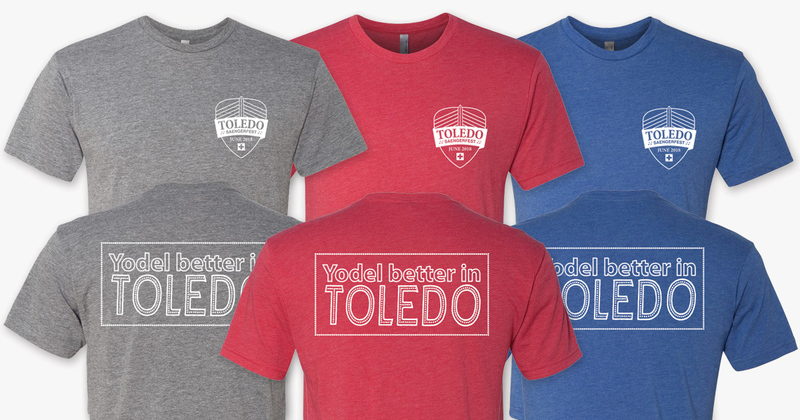 Saengerfest 2018 is partnering with Toledo company Jupmode for exclusive apparel.